Undesired acoustic noise is a by product of many industrial and commercial systems. Active noise cancellation, a procedure to destructively interfere with the acoustic wavefront of the noise signal, is most times deployed to deal with this unwanted noise by product. 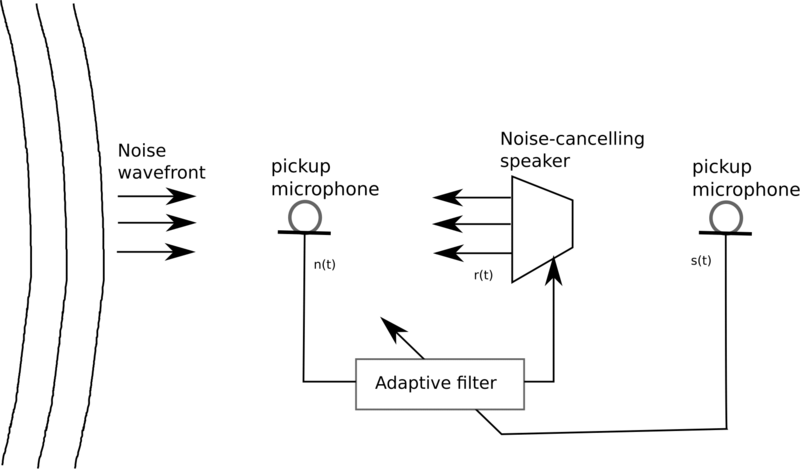 The two microphone active noise canceler uses two microphones and one speaker to feedback the destructive signal for canceling. The objective then is to minimize the energy of the error signal . A stochastic gradient descent algorithm is used to minimize the error signal. VOCAL Technologies offers custom designed solutions for robust beamforming, voice activity detector, acoustic echo cancellation and noise suppression and active noise cancellation. Our custom implementations of such systems are meant to deliver optimum performance for your specific task. Contact us today to discuss your solution!